Our family has a lot of must-do things when we visited National Park units. We always get a Passport Stamp. We always watch the visitor center orientation movie. And we always take a family selfie. I love the fact that I can go back and see our adventures documented with pictures. And because our goal has been many years in the making, it’s also cool to see how much the kids have grown over the years! 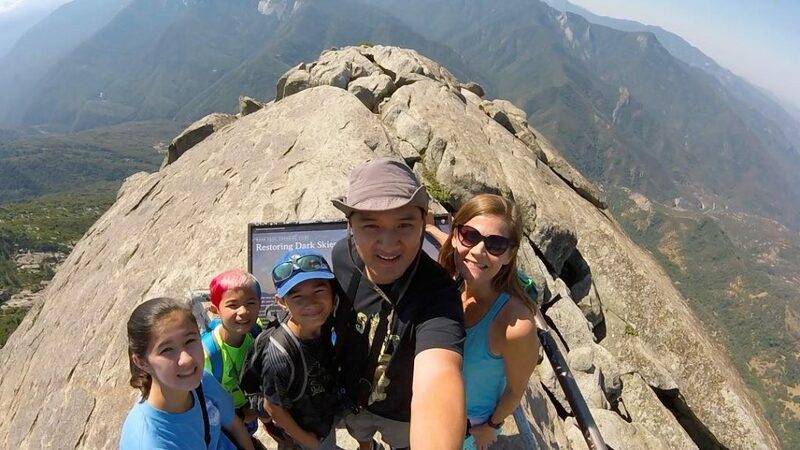 After taking a family selfie at every National Park unit we’ve visited, we’ve picked up a few tips for taking the perfect National Park Family Selfie! One of the best features in many National Parks is the sense of scale. Try taking your family selfie from further away. You and your family may be smaller in the frame, but the relative scale next to a large tree makes it that much more impressive! This massive tree root system was at Redwoods National Park. The last thing you want is to look back at a picture and wonder where you were when you took it! I typically pre-plan where I want our family selfie to be taken at. In this case, it was the General Grant Tree at Kings Canyon National Park. Pro Tip: That tree is massive but instead of walking up to the base where there were thousands of people encroaching in our shot, we took it from a clearing about 200 feet away. Sometimes people forget to look up. 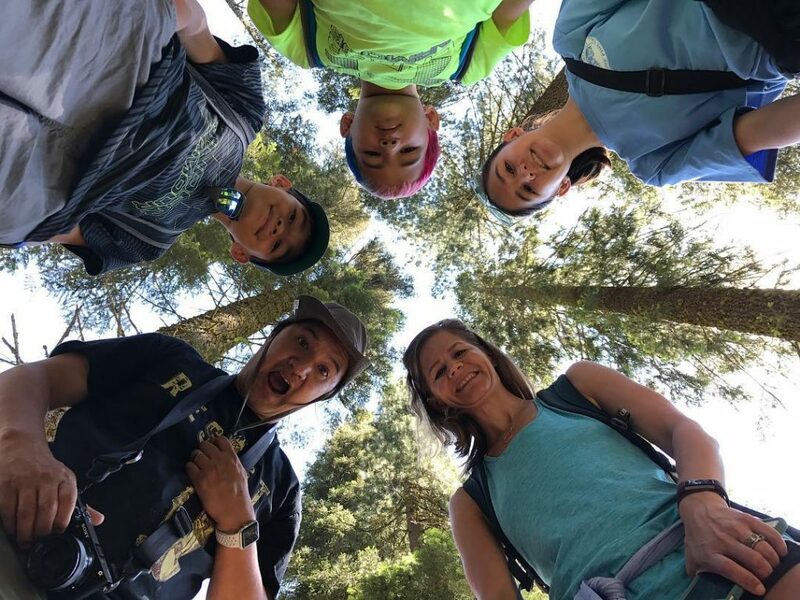 In this shot, we decided to accentuate the tallness of the trees from Sequoia National Park and put the camera on the ground with the lens pointing straight up to the sky. This change of perspective gives off a nice effect AND communicates the tallness of the trees at the same time. Nowhere in the selfie handbook does it say you need to show your faces. And definitely, not duck faces. 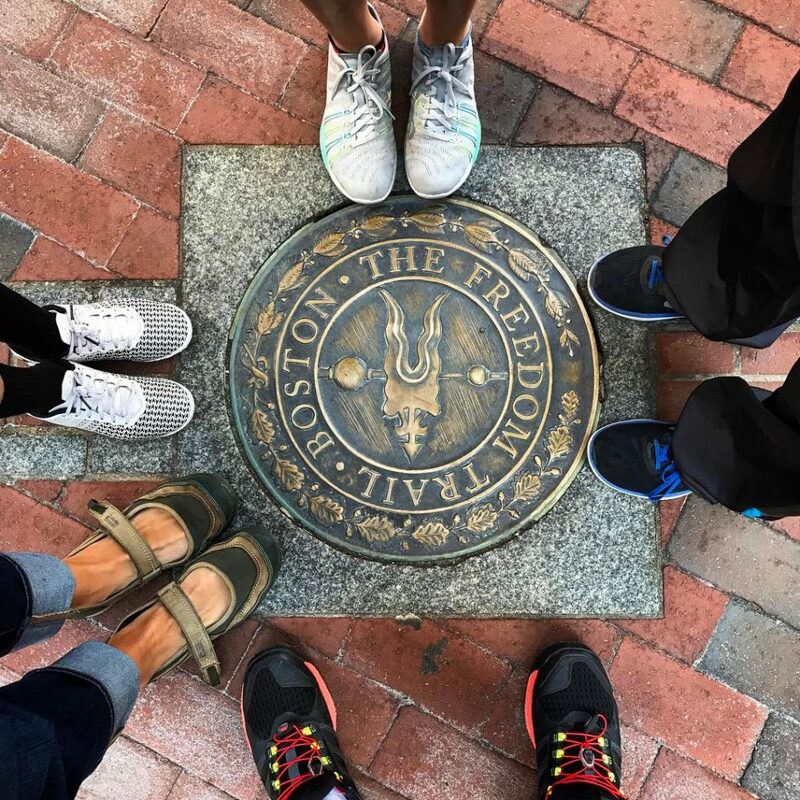 When we visited Boston and walked the Freedom Trail we were always looking down at the ground to follow the red brick lines of the trail. When we came across this marker on the ground, it was obvious what our family selfie would be. Tip 5: Get into the Theme! 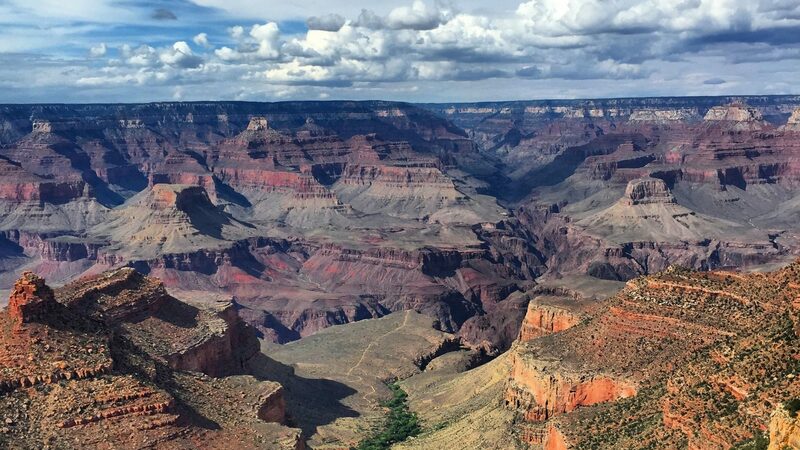 Many National park sites want you to share your pictures on social media so they set up places to take a photo in theme. Use those props and help spread the word about all the great places people can visit! 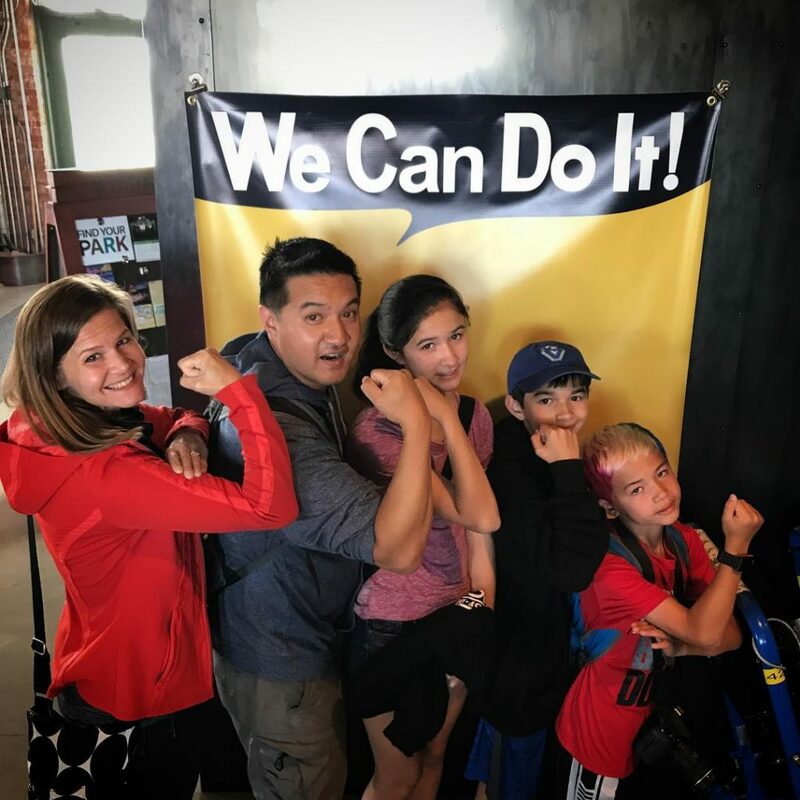 This was our family selfie from the Rosie the Riveter National Historic Site. As the kids are getting older, the compliance for my family selfies is getting harder to pull off. But it’s worth every ounce of energy to grab that perfect shot to preserve our family’s adventure at one of our countries National Park units! There is nothing like the satisfaction of doing a great hike to a fantastic view and preserving the memory forever! This one was from Moro Rock Trail at Sequoia National Park! 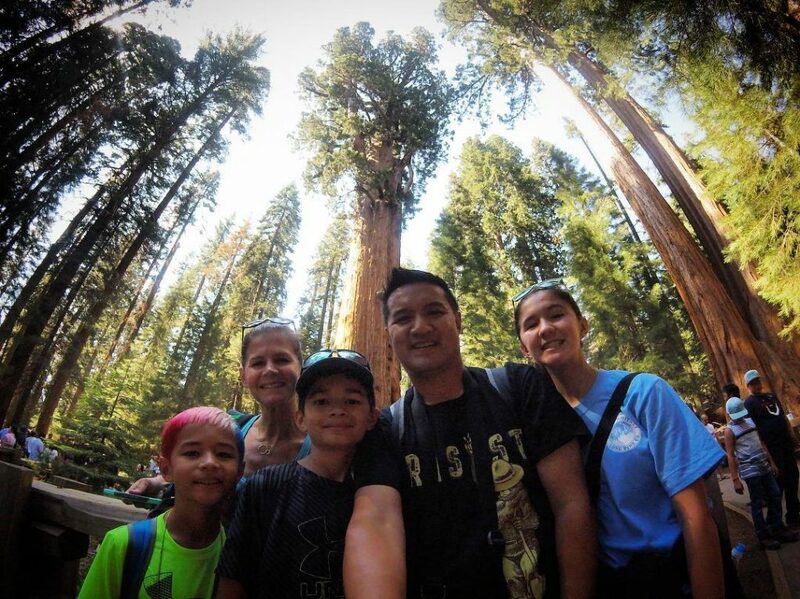 Where will you take your next National Park family selfie?